The Microsoft Certified IT Professional (MCITP) certification helps validate that I have the comprehensive set of skills necessary to perform a particular job role, such as database administrator or enterprise messaging administrator. 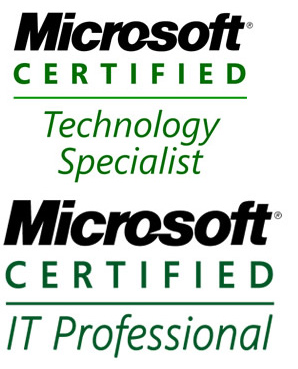 MCITP certifications build on the technical proficiency measured in the Microsoft Certified Technology Specialist (MCTS) certifications. MCITP is awarded to IT professionals capable of deploying, building, designing, optimizing, and operating technologies for a particular job role. They make the design and technology decisions necessary to ensure successful technology implementation projects.